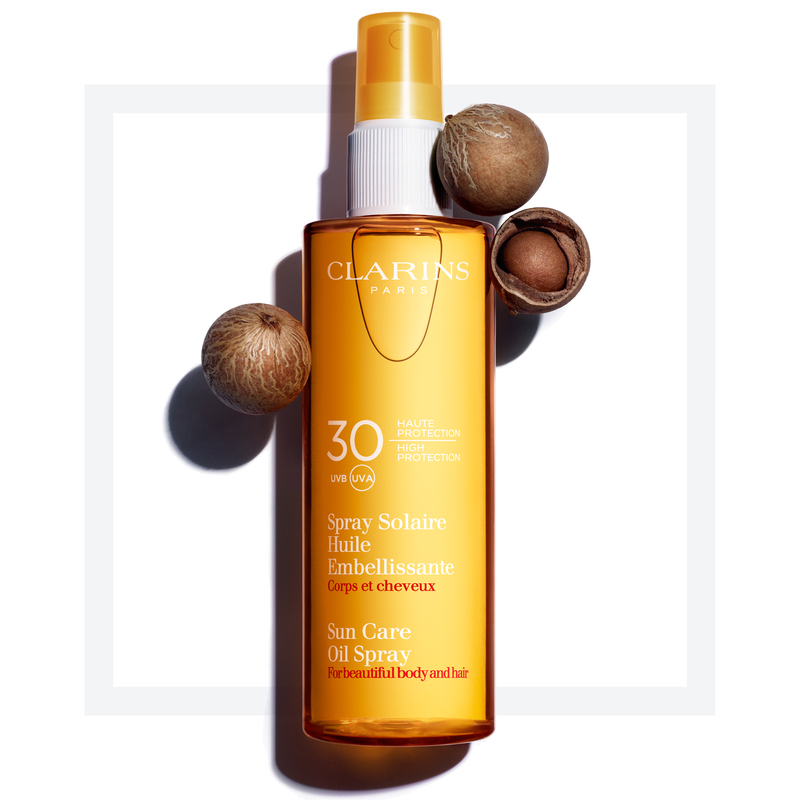 From the Clarins Laboratories—a new sun care sensation for body and hair! This SPF 30 dry oil spray—formulated with organic Indonesian Nyamplung Oil—protects skin and hair from the drying effects of sun, salt water and chlorine. Senna extract defends from UV damage. 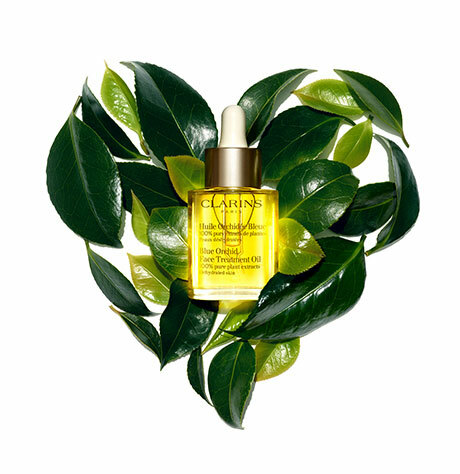 Plane Tree extract fights free radicals. Aloe Vera soothes and softens. Promotes a rich, healthy-looking tan. Rated 1 out of 5 by SusanC from Awful Smells toxic, left me sunburned, uneven tan. DO NOT recommend. I wish I tried it on my skin when I first bought it so I could return and get my $ back. Rated 1 out of 5 by Maud from Greasy hair and sunburnt body!! Definitely not worth the money - skin caught an allergic reaction to the oil leaving it not only with a rash - it didn't even protect with the marked sph!! Got a sunburn even after applying three times over five hours. Hair left greasy so didn't work their either. Will keep to a proper sunprotective from now - never Clarins! Rated 5 out of 5 by EveW from Amazingly moisturizing! Fabulous sun protection! This is my new go to for sunny days. I used this all week in the relentless hot Las Vegas sun. It not only smells great but left my skin so soft. I got beautiful color and didn't burn at all. AMAZING! Rated 5 out of 5 by TexasLady from Absolutely love this! I LOVE this product! Leaves my skin so very soft, with a great fragrance. AND provides suncreen...who could ask for more?! Absolutely would recommend it! Rated 5 out of 5 by Libra from Very Wearable I chose this item because I wanted a light and weightless sunscreen. This formula have achieved everything I want in sunscreen. It absorbs very fast and moisturizers my skin. No heavy chemical scent. Compatible with my perfume. There is no sticky or heavy residue buildup on my skin. I will continue to buy.